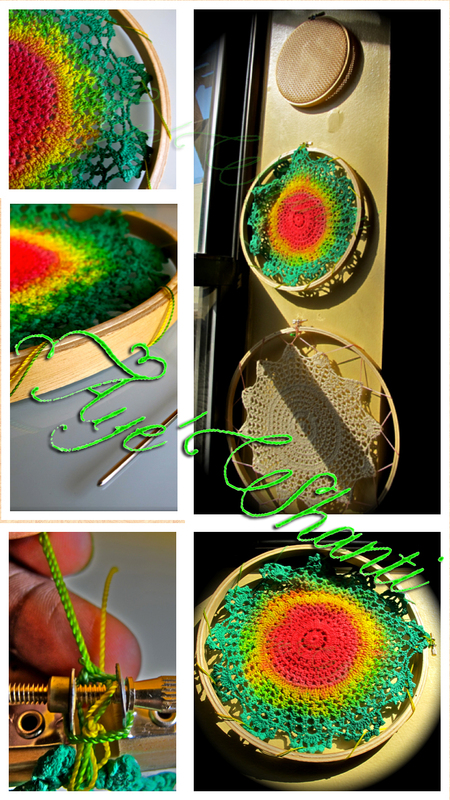 I have been crocheting since the age of 6, thanks to my grandmother and my mum. I also use crochet doilies for various craft projects including my journal and tags CHECK THEM OUT HERE. During one of my vintage finds, I found 3 WOOD EMBROIDERY HOOPS WITH RATTAN WICKER 10" & 6" that I thought would be perfect as an earring display (you can see one of them in the last pic). I decided to try my hand at playing around with the embroidery hoops with various types of backgrounds and my first to show you all is this D.I.Y. 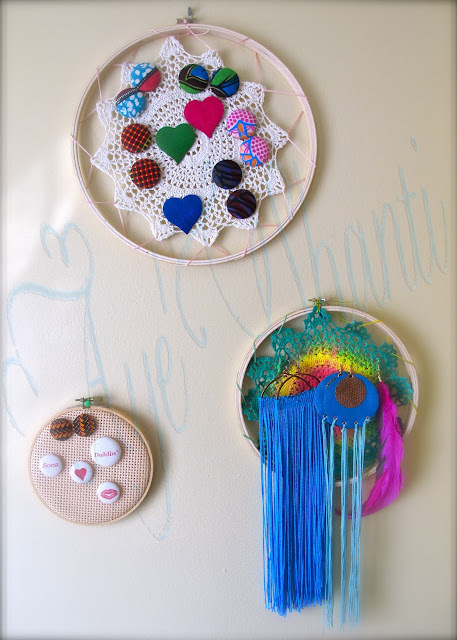 Crochet Jewelry Display. 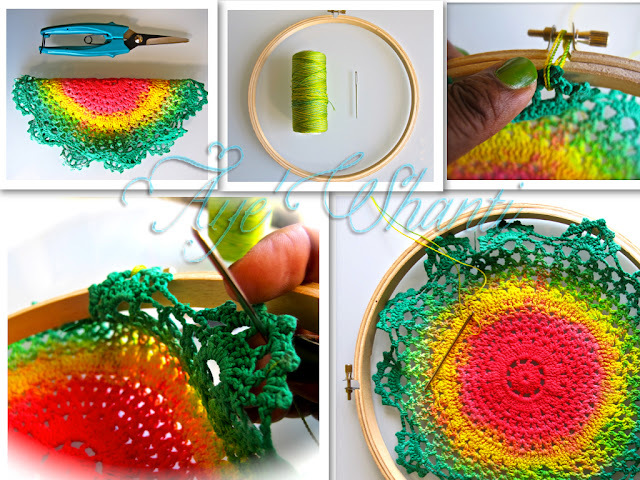 Crochet Doily, Scissors, Embroidery Hoop, and nylon thread. 1. Line up the crochet doily within the embroidery hoop. 3. I stitch through the latch of the hoop through a crochet hole from behind and then start to sew in and out of the hoop to secure it on. 4. Once you've created the stitches, securing it to the embroidery hoop and it's complete, you can then tie a knot towards the back of the hoop. Here's a few of them I have displayed on the wall. This is the perfect solution for keeping your earrings organized and displayed like a work of art. And yes, these are a few of my jewelry designs that you can check out on www.mangopaperscissors.etsy.com and COMING SOON, SPRING/SUMMER 2012 line of jewelry, accessories and stationary! I love this! I'm always wondering what to dowith my post earrings. Brilliant! I must share this on my blog. I miss you! WIBO Class reunion? Hiiii Olivia! Girl I totally think we should organize a reunion! Thank you hon, take pics if you do this project and share with me!